The Glue gets Scottified | Journey to "i do"
When we were in Minnesota for our big wedding planning trip number two we made an appointment for my little bro to get fitted for a kilt. All of the other groomsman are from Scotland making my brother the only American groomsman. 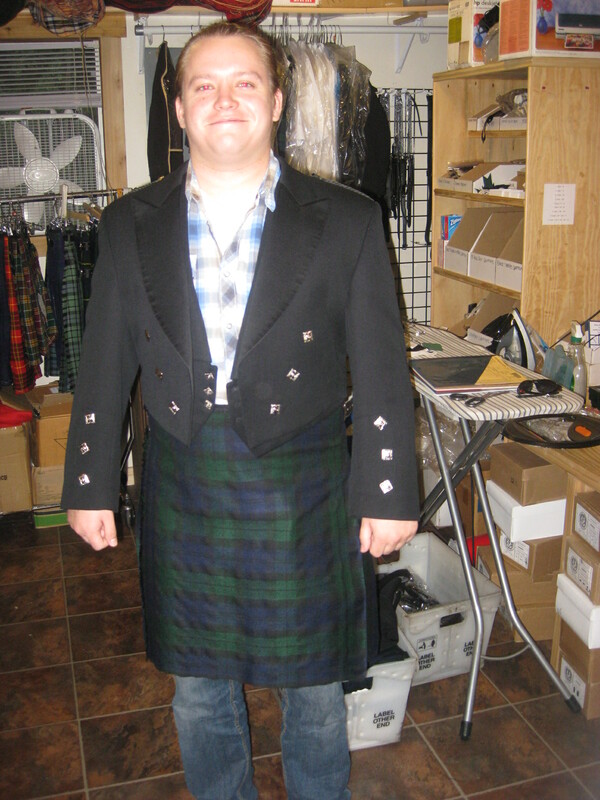 The Best Man and the groomsmen have been asked to wear a kilt to the wedding but we they can wear whatever tartan they’d like, which is good because most of them already own one. Lucky for us, The Glue was more than happy to embrace the Scottish culture by wearing a kilt as well. We all agreed it would be a bit odd if he was the only guy up front in a regular suit. Back in May when my parents went to the Minnesota Scottish Fair (who knew!?!?!) for some reconnaissance work regarding a Ceilidh band for our reception (more on that later!) they stumbled upon a place for The Glue to rent his kilt. 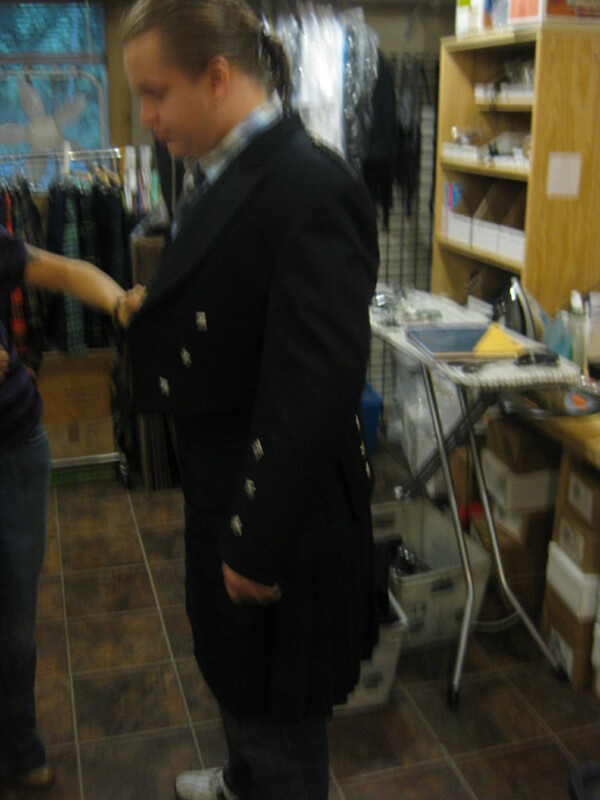 The Celtic Croft not only allows you to rent a complete kilt package, which includes a jacket, shirt, shoes, and all of the other specific pieces needed for an authentic look, BUT they also let you keep the kilt for additional 35 dollars. WHAT A DEAL! 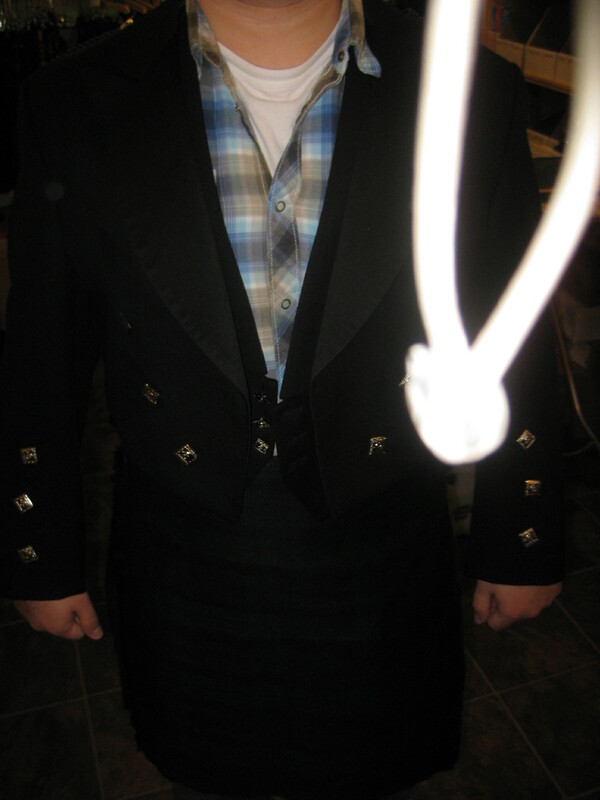 The Glue is excited to have his own kilt even if it’s not the same fabric as our newly named family one. 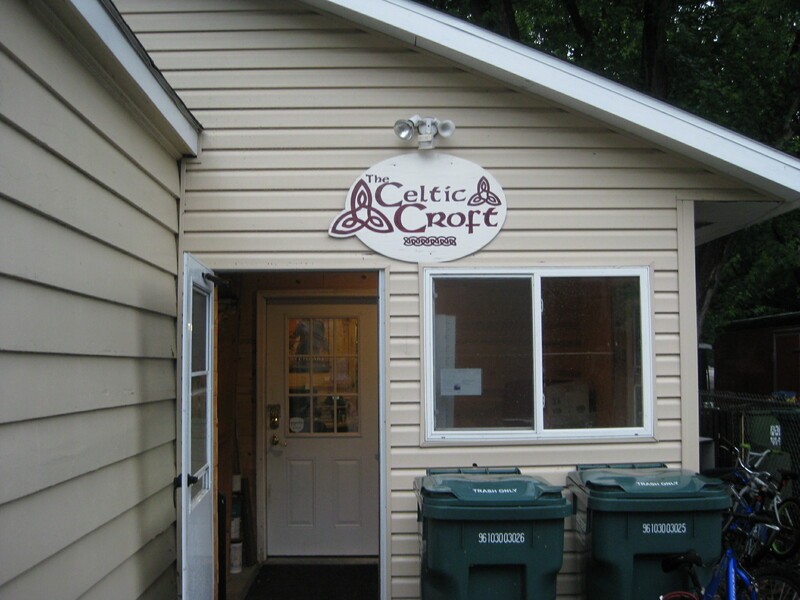 This appointment at The Celtic Croft was the only wedding-related appointment that I did not attend during that crazy week. It was just for the boys in the family (Dad Sword, The Glue and Mr. Sword), and anyway, I was busy trying on wedding dresses at the time. I think he made a great choice! I guess you just try them on OVER your clothes? Mr. Sword will be wearing an Argyll (yes that’s how they spell it) styled jacket which is more on the semi-formal side, but I guess that wasn’t an option for The Glue’s jacket, so they went with the dressier version called the Prince Charles jacket as opposed to going with a more casual version. Frankly, I don’t see much difference between the two styles but I did like the Argyll jacket when we first picked it out for Mr. Sword. Are your groomsman wearing anything culturally specific? 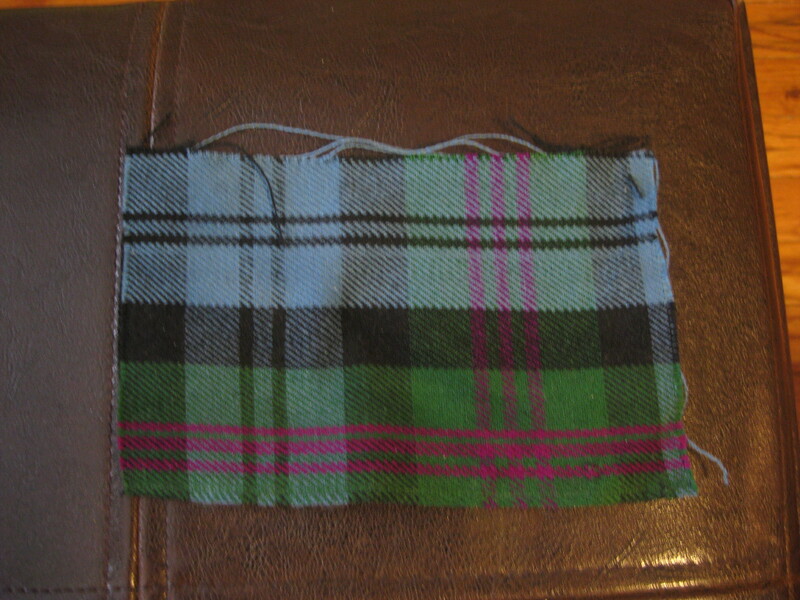 How do you like The Glue’s tartan choice? ← Get it on film!